Each day delicious meals are created, and tourists simply walk past them on their way to a standard touristic restaurant. How amazing would it be if tourists take a left-turn and knock on your front door? 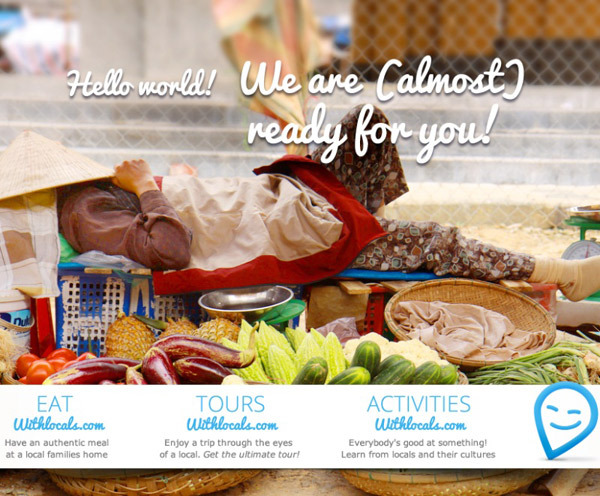 Withlocals is a marketplace where the local population of Bali can offer tours, activities and even home dinner experiences to tourists for a good price. The idea is to improve the tourism industry by connecting locals and tourists directly. The locals get a honest price for something they do daily because they can set their own prices. Think of taking tourists to the local market, teaching them how to cook the best Pisang Goreng or Bakso, or showing them the best viewpoints around the Sekumpall waterfalls. By removing the intermediary travel agencies, more jobs will be created for the Balinese population. If you are a local and if you have millions of stories and adventures to share with tourists, become a host at Withlocals and introduce tourists to your favorite activities and places in Bali. Want to become a host? Visit the website of Withlocals.com and subscribe for the first launch in September. After the kick-off in Bali for a small group of tourists and locals, Withlocals will expand to other locations in Asia. Bali is still the best destination for me.